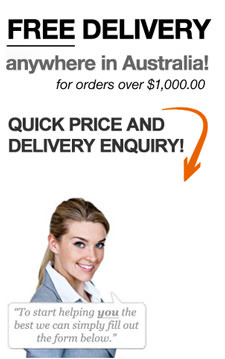 For High Quality Printing at Great Prices call for details re : Pricing, Finishing Options , Production Time , Delivery and Freight costs for all Fabric Banners in Brisbane, Sydney, Melbourne, Adelaide, Canberra, Darwin, Perth, Hobart, Newcastle, Gold Coast, please ring our central phone number 1300 556 589. At Printsmart Graphics we specialise in printing high quality fabric banners at great prices. Durable quality fabrics printed at very high resolution are a powerful display medium. or stretched over a stand, means there is a viable solution to every display situation. a powerful graphic backdrop. It is low cost and very easy to set up. You can be constantly promoting your brand or logo. we have special light weight, durable fabric materials that are easy to transport . These are often taken as on board luggage. great colour reproduction and rich vibrant images. Our most widely used fabric is the Lotus display 160 fabric which is Washable and Fire Resistant. It is also wrinkle resistant and folds well into a special carry bag. There are a wide variety of fabrics available. the fabric banner prints against the walls and in a matter of minutes you have created an effective but economical visual display. Alternatively we can sew loop pockets into the top and bottom so they can be hung from rods from the ceiling or wall. Importantly the cost of these “wow factor “, high resolution Fabric Banners will not break the budget. Looking for Low Cost Pricing but a Powerful Visual Impact ? be able to just pack the screen printed banners in your luggage, saving a significant amount of money on air or road freight. There is also the peace of mind that you have your displays with you when you get to the exhibition or conference. Whether you are looking for Indoor or Outdoor fabric banners , custom banner fabric or signs , we can offer a solution. Unlike most printed display materials, which usually are geared specifically for either indoor OR outdoor use, fabric banners can be used for either. Because they are made from a durable storm cloth material, and because we also use UV resistant inks, our banners are much more resilient to weather and the sun than standard display materials. They are also very durable in the elements such being left in the rain. They are well finished and durable enough for the outdoors but still present professionally and are of a high quality resolution sufficient enough for indoor display and closer viewing. You don’t necessarily have to settle for buying two sets of displays and be concerned about them getting damaged if exposed to the elements. Our banners are made from durable , long life materials and sewn and finished to ensure maximum life. They can stand up to the heavy “wear and tear” of repeated set up and pull down that conference and exhibition displays experience on a regular basis. Also, because we do use UV resistant inks, so the graphics on your banners will also have a decent life span as well, especially when used for outdoor prints. Regardless of what type of fabric you choose (more on that below), you can rest assured knowing that your signage or advertising can stand the test of time and repeated uses. Another excellent benefit of choosing our signs and backdrops is that they are far easier to travel with and carry on flights as an onboard luggage. Unlike harder display materials such as vinyl signage, fabric banners are relatively light weight, very easy to fold, and much more compact. Many business people traveling overseas choose the as they can take them as carryon luggage on their business trips. Whether taking them on board or as checked in luggage, transporting your conference or exhibition displays overseas or interstate is far easier with our display signs. A great bonus about fabric banners is the variety of different display and fixing method that are available . You can hang them, rope them up, use Velcro to attach them to an exhibition booth, lay them over a stand or table. Once you have determined what area and space you will occupy at a conference or exhibition, the best sinage really is the low cost but high quality option. They will ensure that your display gets seen, regardless of the space, display stands or table options available. If you want to avoid the embarrassing situation of showing up with a complicated display stand or board too large and complex to assemble for the space you are provided, then choose our fabric banners and theme your exhibition booth walls. The custom printing of high quality banners also allow for a great deal of variety. When working with us, you can choose the type of custom printing and finish that best suits your display banner needs. We have screen printed fabrics that are machine washable, fire resistant, and wrinkle resistant, and we are able to waterproof our material as well. We also have materials that will still allow a more glossy sheen that will more closely resemble photo quality. Regardless of the type of material you choose, you can be sure that the resolution will be high and the quality of the image will be excellent. All materials, regardless of whether they are more geared to the outdoors or indoors, are made of durable cloth with strong finishes. By far, the banner printed on fabric offers the best overall value when you consider their cost along with their versatility and longevity. If you would like to learn more about our banners, click here to send us a quick enquiry. We will be happy to work with you and provide your business with a great display you can be proud of!